Senator Magnus Abe, representing Rivers South Senatorial District at the National Assembly has said that the current crisis rocking the All Progressives Congress (APC) in Rivers will boost the party’s chances. The ruling party in Rivers is the Peoples Democratic Party (PDP). Abe on Friday in a statement signed by his spokesman, Mr Parry Benson, urged the leadership of the party to do the right thing to sustain the unity, rather than taking the issues of the party personal. Abe stated that one of the issues that had brought the party to its knees was the failure to produce a governorship candidate that was acceptable to the law. “First of all, the issue of whoever that emerges as the candidate of the party, I totally subscribe to that, but what is the process by which the candidate would emerge. “This is the issue, when you use a process that cannot produce a candidate who is acceptable to the law. ”Our party is made up of human beings, people that have put their lives on the line to create and sustain the party called APC in Rivers State, they are still alive and not dead. “Those people have the right to fight for what they believe is right and I do not think that it will weaken the party. “I think at the end of the day, our party will come out stronger if we do the right thing,” Abe said. The senator said that the legal foundation on which Mr Tonye Cole candidacy was based, was very faulty both morally and legally. “However, if the leaders of the party decide to keep quiet and ignore such a trend, it may lead to party being completely shortchanged. He called on members of the party to speak up and help the party to stand in the state, noting that some members had suffered so much to put in place the party and should not be left without any option. “Whether it is Tonye Cole or I, it will get to a point where we see clearly that this is where we stand; then all of us must be able to come together and put aside our pride and our differences and help the party to survive,” he said. 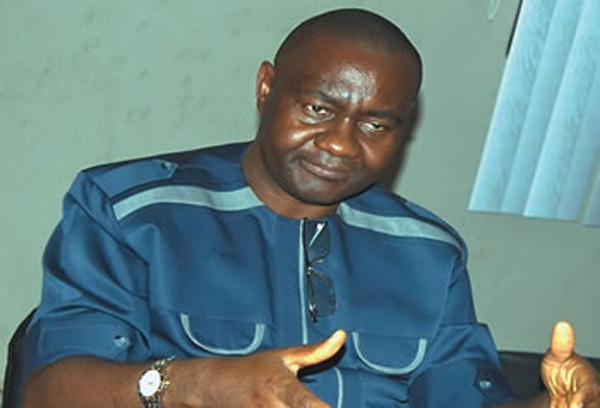 Abe insisted that lack of internal democracy in the party made Mr Dumo Lulu Briggs, one of the party governorship aspirants to dump the party. “If the process was free, fair and credible, how come people who participated in the process when it started didn’t accept it,” Abe said.